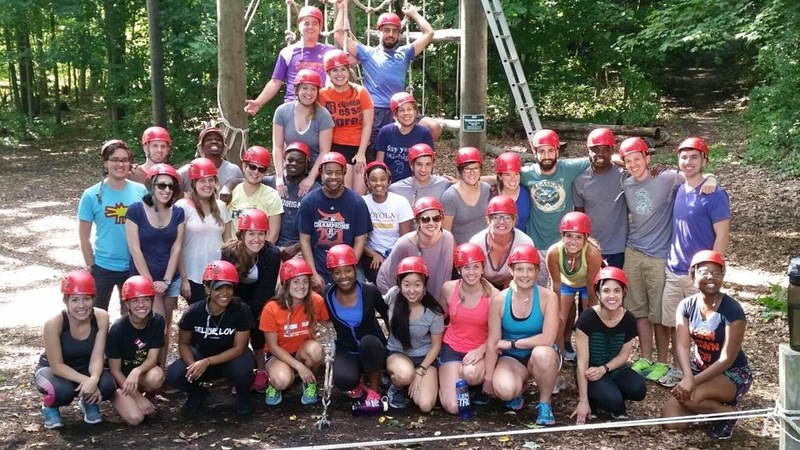 On our very first day of Challenge Detroit, the Year 3 Fellows participated in a team building exercise at Walled Lake Outdoor Education Center. I will admit, team building is something I normally dread. Although I was trying to stay positive (since it was my very first day), I was extremely uncomfortable wearing a hardhat and harness surrounded by 34 strangers. Then our instructor demonstrated something that really struck a chord. He drew an imaginary circle around himself which represented his comfort zone. Then he took one step outside the circle to signify stepping outside his comfort zone. He told us about the importance of leaving your comfort zone so that you can grow and learn. He did not leap because going too far too quickly can be overwhelming, causing you to retreat to your comfort zone and less likely to leave again. But a small step is manageable, and as you get used to being out there, your comfort zone increases. He asked us to constantly think about this throughout the day. That day we were constantly challenged. High in the treetops, we climbed across gnarly ropes, swinging logs, and narrow wires. We jumped off a wooden ledge 40 feet into the air and had to trust that our harness would hold. 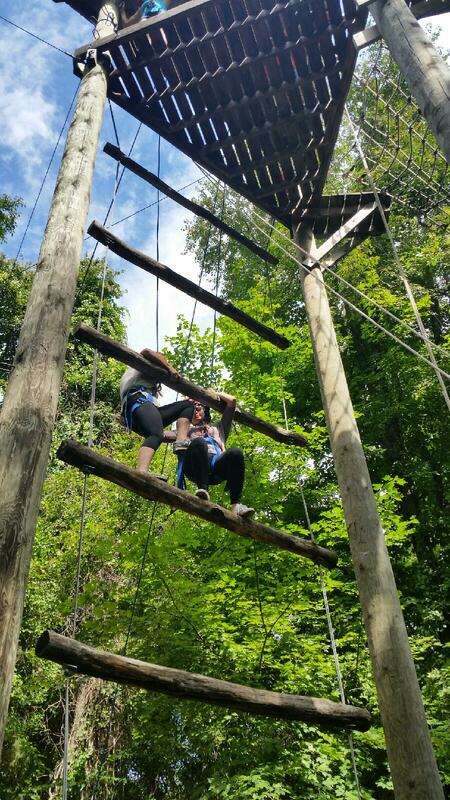 In teams of two, we attempted to ascend the formidable “Giant’s Ladder.” With the comfort zone mantra going through my head, I continued to push myself further than I would have thought possible just a couple of hours ago. But the most inspiring part was how this group of strangers came together as a single unit to help everyone expand their comfort zones. 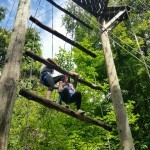 While on the Giant’s Ladder, I was ready to call it quits but my partner encouraged me to continue up one more rung. She would not let me give-up on myself, despite all my doubts, and even went so far as to literally hoist me up to the next level. And just like that, these 34 individuals weren’t strangers anymore. As our first month comes to an end, we have a better understanding of the many challenges we’ll face this year. Each challenge is a chance to step outside our comfort zones and grow. I’m thankful to know that I have a supportive team to help me along the way. I hope that you will continue to follow my blog over the next year. I’m looking forward to sharing what’s going on with Detroit, my host company (Hospice of Michigan), and my fellow Fellows.